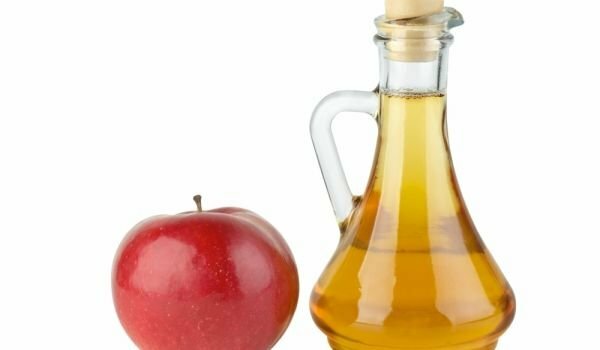 Apple cider vinegar is a completely natural product, which from time immemorial is used as medicine, cosmetics and a good helper in the kitchen. It is amazing that in the outputs of apples absolutely all valuable substances of the fruits remain. 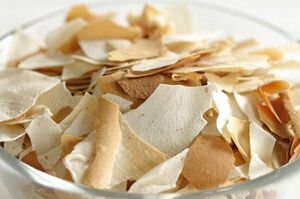 It is known by people 10, 000 years ago and since then it is widely used in household cooking and medicine. At about 5000 BC in B/undefined abylon, apple cider vinegar was used successfully for medical and household use. Our ancient ancestors used the fermented fruits of palm trees. The soaked meat in the mixture to increase its durability. It is said that Hannibal found a most unexpected use of vinegar during his battle transitions. 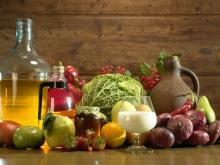 Fermented liquid from apples helped him make the transition through the Alps to Rome during the Punic Wars (218-201 BC). The warriors he had went through a horrible narrow impassable road. Then the Carthaginian commander ordered the soldiers to cut branches from the trees and burn them around the rocks. Then the hot rocks were soaked in vinegar, which made them loose enough to be able to dig a path in that pass. Apple cider vinegar has been used as food and medicine for centuries. Cleopatra used the help of apple cider vinegar to maintain a slender waist. It is known that the legendary Queen never limited her diet. Her secret lies in the fact that she drank a glass of water which was mixed with apple cider vinegar. Vinegar through the fermentation of apples is a completely natural product. Nowadays there are many pharmaceutical products based on acetic acid, and is even used as a food additive that miraculously keeps the full nutritional value of apples. An additional plus is that it is enriched with extra acids and enzymes produced during fermentation – there are commercially available ampoules of apple cider vinegar. Apple cider vinegar contains provitamin A, which is one of the most powerful antioxidants. Apple cider vinegar has all the valuable substances of apple fruit that traditional medicine appreciates and recommends. 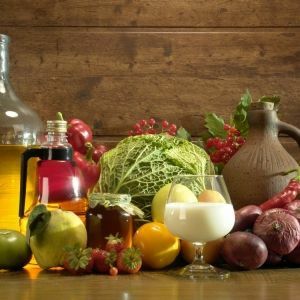 The content of the vinegar has 93 different ingredients that stimulate the body's vital functions, many enzymes, 20 essential minerals (potassium, sodium, magnesium, phosphorous, chlorine, sulfur, copper, iron, silicon, fluoride), trace elements, and vitamins A, B1, B2, B6, C, E and PP. 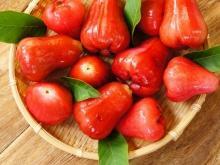 In addition, pectin contained in apples, is characterized by strong absorption and anti-inflammatory properties. It is able to form a protective layer on the stomach lining. These properties make it especially suitable for chronic and acute gastrointestinal illness. Nowadays, apple cider vinegar is a powerful weapon in the hands of medicine - in some clinics in the U.S. and Japan, it is used in the treatment of gastritis and other gastrointestinal problems. Quite often some of us apply it as a disinfectant in the home. 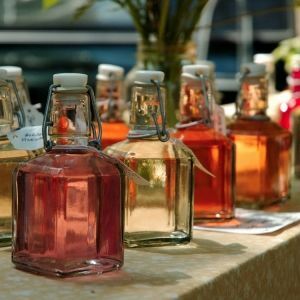 Homemade apple cider vinegar is made slower, but the end result will ensure the quality of all-natural and quality products. The most important quality is the variety of apples that you will use to make it. 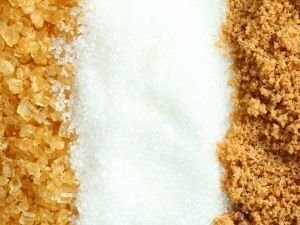 They should have more sugar because the more sugar they contain, the greater will be the percentage of alcohol in the marc. That accelerates the formation of acetic acid. The first step is to thoroughly wash the apples and cut them into pieces, keeping the core. Pour them into a large bowl and pour in hot water to cover the fruit and top it by approximately 3 cm. About 1 kg of apples are mixed with 300 g dill, 200 g sugar, 100 g honey. After you add the sweetener in with the apples, stir well until it dissolves. The dish is covered with two layers of gauze. Should stay 10 days in a room with a temperature of 20-30 degrees. Two or three times a day, it is necessary to stir the apples with a wooden spoon. Strain and remove the apples, squeeze them well and strain the juice to the base. The next step is to sift the liquid into a suitable container with a wide neck and tie it with gauze. 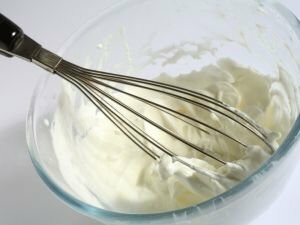 Allow the mixture to stand over one month in a room with a temperature of 20-30 degrees. The finished vinegar is filtered through linen cloth and put into bottles, which fit well with their caps. Apple cider vinegar is stored in a refrigerator at a temperature of 6 to 8 degrees, which guarantees the preservation of its beneficial properties. Homemade apple cider vinegar has between 2-3% alcohol, but unlike store-bought is aromatic and rich in many more minerals and vitamins. 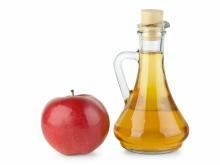 Buy apple cider vinegar in a bottle with a label on which the manufacturer and expiration date is clearly mentioned. Keep in a cool place you do not let it get direct sunlight. The shelf life of apple cider vinegar is about one year. 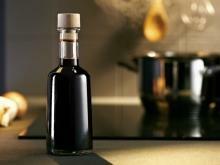 You can use vinegar as a condiment for salads and dishes, as well as a preservative for pickles. 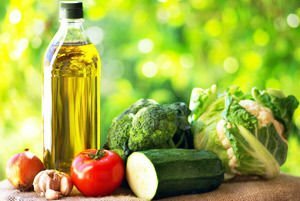 Apple cider vinegar is indispensable for various types of salads, condiments for the soup, and only 1 tablespoon to chicken soup will give it a pleasant taste. 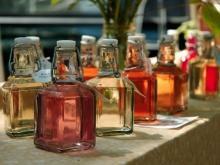 Many marinades are prepared with the addition of cider and vinegar. The difference that apple cider vinegar has a sweet taste. It is said that sauce prepared with apple cider vinegar improves digestion and is an excellent supplement for meat and fish. 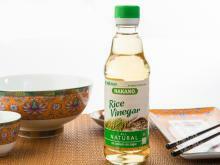 it gives a nice streak of acidic oily dishes and makes them light and easily digestible. Even our grandmothers knew that apple cider vinegar can be used for treatment of circulatory system because it dissolves the limestone deposits. It opens the tiniest capillaries and thus improves nutrition of the individual cell. From there, it improves our whole body. 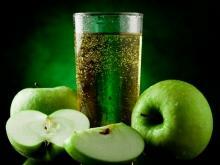 Apple cider vinegar helps to prevent hardening of the arteries, and thus helps to reduce high blood pressure. 1 to 3 teaspoons cider vinegar before eating can solve the problem of high blood pressure. When it comes to fat burning and appetite suppressing properties, apple cider vinegar is among the top places for this purpose. The malic acid dissolves uric acid deposits that form around joints and gradually brings the acid deposits in the body. It is said that the liquid has antiviral activity. As antibiotic and antiseptic, it works due to act amino acids in it. When consumed regularly, it reduces the toxicity in the body. This is due to the fact that acetic acid is able to form a less toxic compound. In this light, apple cider vinegar is very useful in case of insect bites and skin allergies. In addition, apple cider vinegar is one of the best destroyers of germs that attack the throat and mouth. 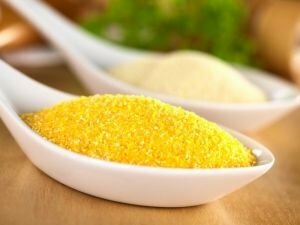 The reason for this is potassium, which manages to destroy the acid crystals in the joints and tissues and retains moisture in the body, and increases resistance forces. If taken regularly before meals, apple cider vinegar increases metabolism. In implementing a reasonable diet and reasonable exercise program, it helps. It also helps to control your weight. This natural liquid aids digestion and stimulates the kidneys. Malic acid disinfects the urine and your bladder, preventing infections. 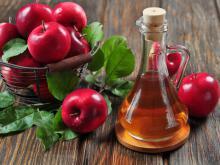 Even in ancient times, apple cider vinegar had been used to treat fungal infections and warts. Apple cider vinegar has the ability to reduce appetite and increase vitality. There are several ways to use apple cider vinegar for weight loss. Most usual one is drinking tea cup warm water with 1 tablespoon apple cider vinegar in the morning before breakfast. In the morning you can have another version of the mix - with the addition of a teaspoon of honey. 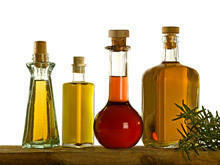 Apple cider vinegar diet requires that you drink apple cider vinegar three times a day, half an hour before each meal. For this purpose, dissolve two teaspoons of apple cider vinegar and half a teaspoon of honey in a glass of warm water. It is important to know that like anything else, apple cider vinegar should not be overdone. Permanent use is contraindicated, one month a year is enough, if you want to use a diet of drinking water with apple cider vinegar. It's good after drinking the solution with apple cider vinegar to rinse your mouth quickly because apple cider vinegar or any other acid erodes tooth enamel. Those of you who suffer from disease of the gastrointestinal tract should consult a doctor before consuming apple cider vinegar for weight loss.